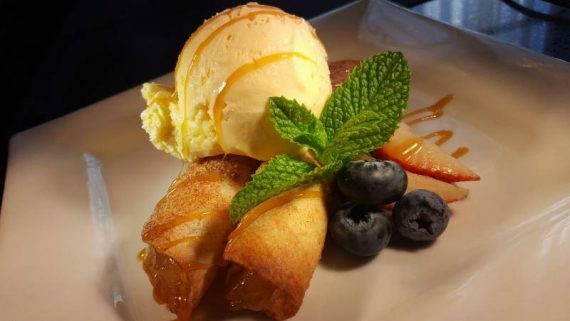 #DessertGoals are met with an array of unique dessert options for Lake County Restaurant Week. 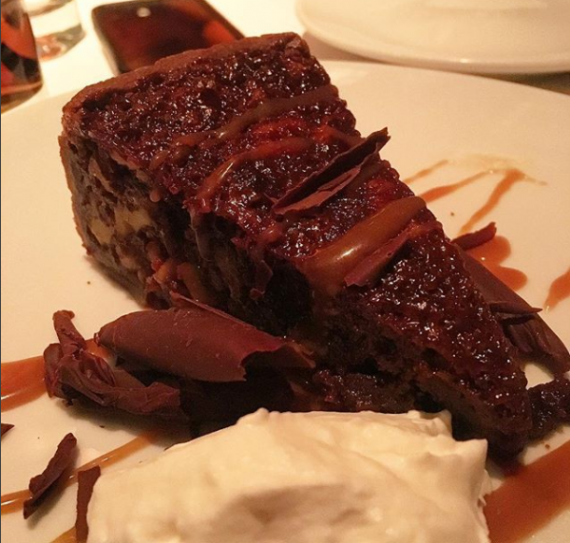 There’s no better way to finish your three-to-four course meal than with something sweet to satisfy your soul. 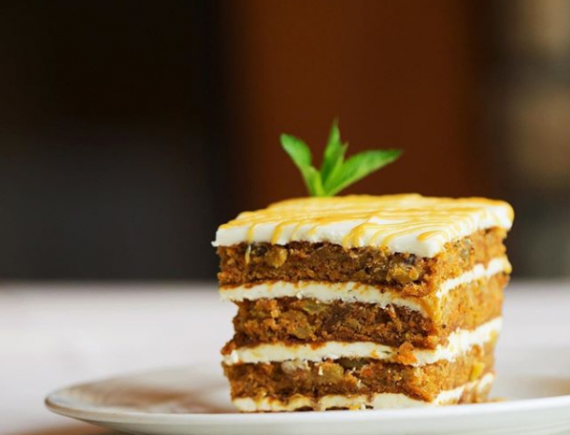 Many of our Lake County Restaurant Week participants are renowned as the hostess with the moistest cakes, the sultans of crunchdom, the experts that create music to our sweet tooth and enable you to interject for ice cream and so on. Some of these desserts are off the radar, and the best kept secrets of Lake County. 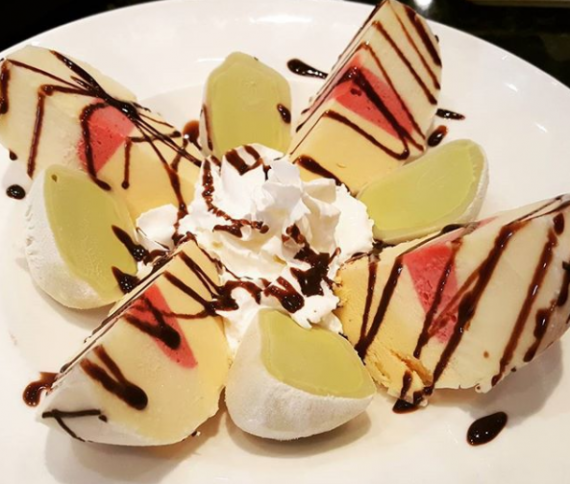 We figured we’d take this opportunity to shine a light on some of the most unique dessert options for Lake County Restaurant Week. Attention all sweet tooth fiends: Lend us your eyes and your taste buds. Mini Bourbon Bread Pudding: Raisin bread, bourbon cream, bourbon macerated berries (Optional wine pairing – Pacific Rim, Columbia Valley Riesling Sweet). Profiteroles: Banana ice cream and warm chocolate sauce. 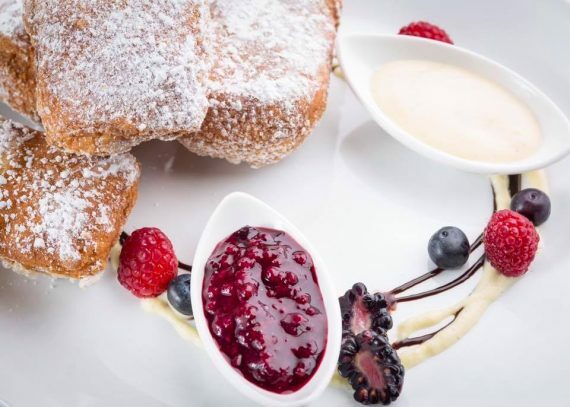 Beignet: Semi-sweet chocolate filled beignet with vanilla creme anglaise. Tiramisu Cannoli: Sweet ricotta cheese, pastry cream, chocolate chips. Budinodi Pane: Bread pudding, white chocolate gelato and chocolate sauce. 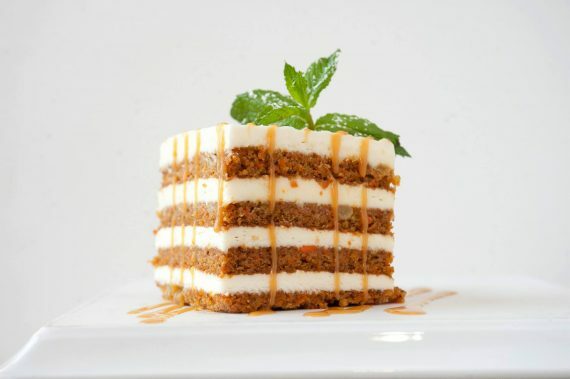 Eddie’s Famous Carrot Cake: Four layers of carrots, walnuts, pineapple, cream cheese icing and caramel. Walnut Turtle Pie: House-made caramel, dark chocolate shavings. 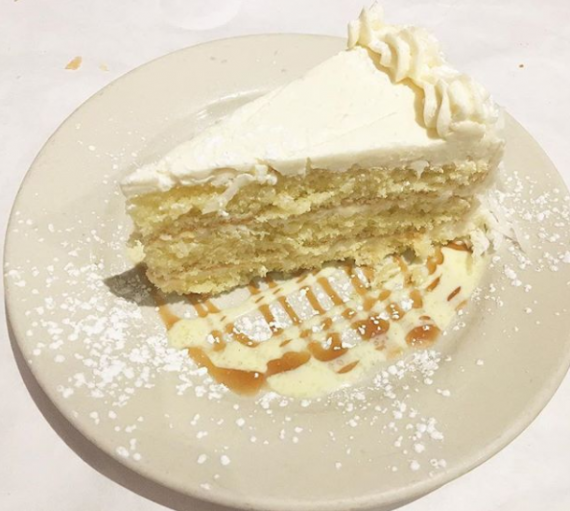 Torta di Cocco – Coconut cake layered with coconut cream and cream cheese frosting served with caramel sauce, creme anglaise and fresh whipped cream. Olive Oil Cake: Blood orange sorbet, honey mascarpone, tine nuts, Thai basil. Bomboloni: Italian doughnuts, honey mascarpone with sea salt, Nutella, mixed compote. Chocolate Pave: Chocolate crumble and raspberry sorbet. 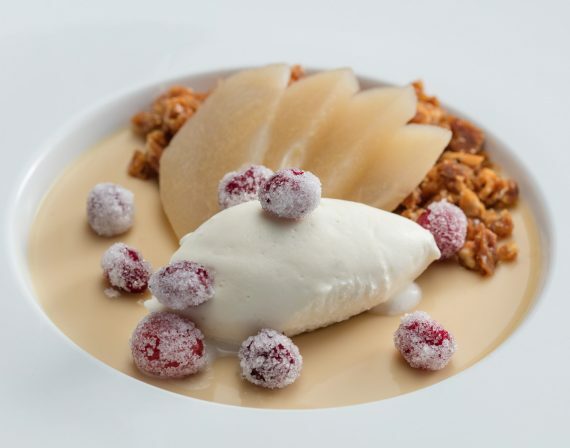 Burnt Honey Panna Cotta: Honey poached pears, honey hazelnut brittle and sugared cranberries. 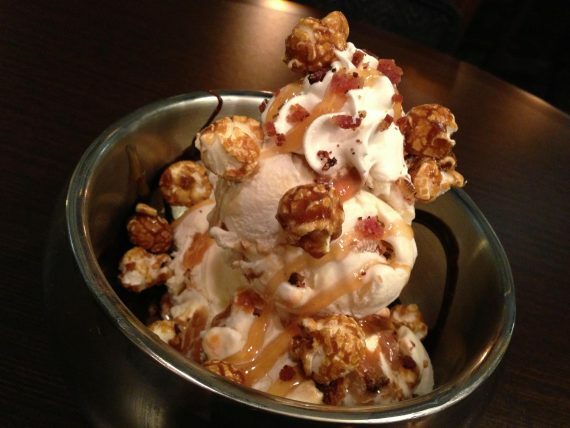 For more unique dessert options for Lake County Restaurant Week, continue here.